Colleen co-founded the Hensley Properties at Keller Williams Realty and is the co-founder of Pilot Leadership—a company that provides leadership consulting and keynote speaking (www.PilotLeadership.com). Her years as a supersonic jet pilot, military officer, and published author of multiple books, provide her with a skill set that is unmatched. 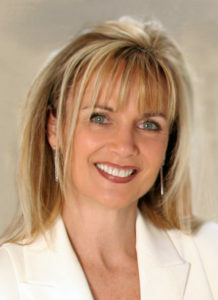 She consistently ranks as one of the top producing luxury real estate professionals in California. Here are a few of Colleen’s advanced real estate designations that allow her to operate at the peak of the profession: GRI (Graduate Realtor Institute); CNE (Certified Negotiation Expert); CLHMS (Certified Luxury Home Marketing Specialist); SRES (Senior Real Estate Specialist); and CPRES (Certified Probate Real Estate Specialist). She’s a consummate professional who delights in matching her clients’ lifestyle with the perfect property. Sellers rave about how Colleen prepares everyone involved for what lies ahead, and she makes sure they understand each step and that they actually look forward to the process. She’s a firm believer in the fact that there is no reason such a pivotal life event as buying or selling a house can’t also be an enjoyable experience. Keeping every member of the family involved means including the children too, if there are any. With parents’ permission she assigns them age appropriate tasks throughout the process and they become giddy with excitement about being able to “help out.” For sellers, she prepares the property with maximum attention to detail and elegance. It’s not unusual for them to react with total amazement when they see their home achieve its full potential during the selling phase. Sellers are grateful for the tireless dedication that Colleen devotes to helping them transform their property into a masterpiece that will attract the greatest amount of interest, among the greatest number of qualified potential buyers, in the minimum amount of time. As for buyers, Colleen delights in the early stage of the process. It’s in this stage that her decades of expertise come into play. It’s common for buyers, even experienced sophisticated ones, to become overwhelmed by, perhaps a rapidly changing market, or whatever the current challenge may be. Colleen will prepare for first few sessions as few others are willing to. She’ll determine the timely and insightful questions to ask, and that simple process will allow buyers to get the most out of their time spent looking for the property that will match their lifestyle perfectly. If you’re a buyer, it’ll likely be the most efficient and intentional time you’ve ever spent with a real estate professional. Oh, and don’t forget, it’s OK to have some fun along the way. Let her show you what she can do for you.